We all know who the king of StarCraft is right now, with Serral cementing himself as the best player of 2018 and, potentially, the best foreigner of all-time. But who is the best caster in StarCraft in 2018? If that question has been bugging you, we have a Christmas surprise for you! 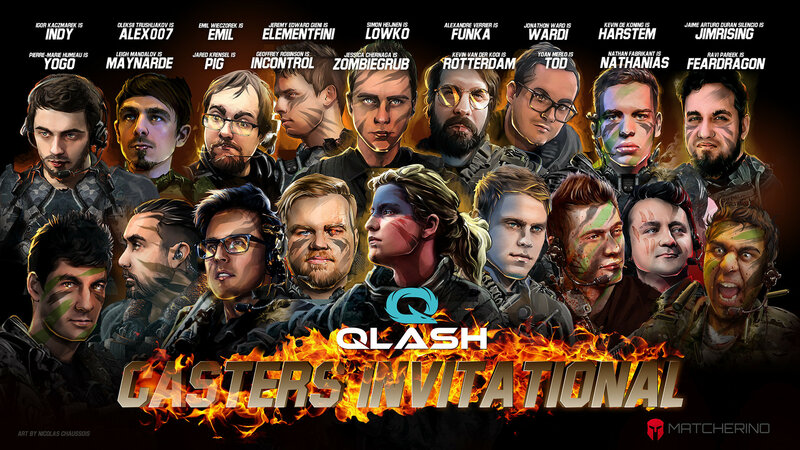 QLASH, ToD and Matcherino are pleased to bring you the QLASH Casters Invitational, a tournament series. Starting on December 21st, some of your favorite casters will go head to head in a GSL style Christmas DEATHMATCH. With live finals at the QLASH house in Italy, this tournament is sure to get heated! We’re not just putting prestige on the line here, because it wouldn't be the Holiday Season without a heaping of consumerism. Matcherino will be creating a prize pool campaign featuring a ton of amazing items with exclusive artwork by the beloved Nicolas Chaussois. Don’t know what gift to get your mom? We'll have mugs for that hot chocolate, sweaters for those cold days, and even exclusive in-game portraits (Starting December 18th for a limited time!) -with the majority of all sales going to the prize pool and the casters, there are tons of ways to support your favorite scene and streamers. So grab your laptop, cozy up to a fire and listen to ToD, Harstem and Lambo’s soothing voices as they describe the terrible terrible damage that you’re about to witness. Ho-ho-ho! Below is all the information you’ll need. Small suggestion, remember to mention the size of the mug (like 3,5 dl etc.) I was actually on QLASH website some days ago considering ordering a couple of mugs, but decided against it since I didn't know if the mugs would be too small or not. JimRising seems like the favourite, but let's see! hey Rouch, thanks for the suggestion and feedback. As Jambon mentioned the mugs are going to be specifically themed for the event - as for the ones in our shop, they are standard sized as any you would buy in a souvenir shop (sorry I can't tell you the specific DL). Let's not get this off topic though! Glad to be part of this event! The graphic is sick. Too bad that ToD is dodging the competition given that he won the EsportsEarnings Casters Invitational. Why wasn't Rifkin invited? He is a prolific caster. Was he invited and declined? Interesting. sick graphic and cool event! JimRising will probably take it and we'll miss ToD but this looks interesting! Graphic is sick, 100%. 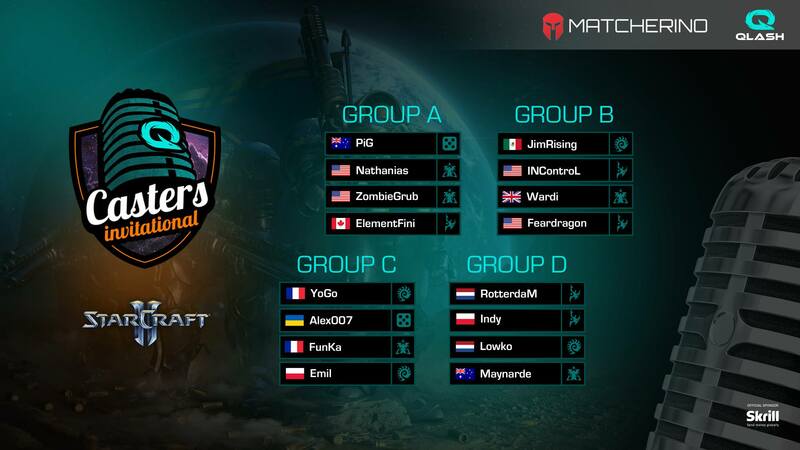 Look at FearDragon, look at this dude... he is fcking RAMBO! Would be cool to see someone like JYP if there's ever a 3rd to help bring in the Korean fanbase.